Nevada is one of the states that requires cosmetic manufacturers to register, get inspected and pay fees. If you live in Nevada and are (or are planning to) make and sell any type of handcrafted cosmetics (not including soap) — read on! A cosmetic means articles intended to be rubbed, poured, sprinkled or sprayed on, introduced into or otherwise applied to the human body or any part thereof for cleansing, beautifying, promoting attractiveness or altering the appearance, including wigs, hairpieces and postiches; and articles intended for use as a component of any such articles. Soap is not included in this definition. As has been covered elsewhere on this blog, the definition of a cosmetic includes shampoo, moisturizers, creams, lotions, bath products (fizzies, bubble bath, bath tea, bath salts), body powder, sugar or salt scrubs, hair products, eye shadow, eye serums, mascara, blush, foundation, perfume, body sprays … and anything else that could be applied to the body to make it look better. Products that are applied to the home (laundry soap, cleaners, furniture polish, room spray, for example) are NOT cosmetics. As noted, soap is not included in the definition of a cosmetic. I didn’t find any place where the definition of a soap is given, so I assume it is the same as – or similar to – the federal definition. Call your local field office to speak with a representative who may assist you in determining if your are applying with the right health authority. Apparently some counties have different or additional requirements, but I think that all counties still required cosmetic manufacturers to be licensed, as that is a state law. It is a good idea to call, since there’s not a lot of information about what is required for the permit until you actually start the permitting process, which is entirely online. A good guide to how to use the online system is here. As you read the document be aware that it explains the process for BOTH drug and cosmetic manufacturers, so there are some things that don’t apply if you are only making cosmetics. According to their Permits: Cosmetic Manufacturing page, there is a “Permit to Operate” (which applies to most any kind of business) and then a “Supplement Permit” which applies to Cosmetic Manufacturers and others. Location, size and type of any fixed equipment and facilities. As can be noted from the required information, the design of the manufacturing facility is important. This is in keeping with good manufacturing practices, which they required for all cosmetics (see below). One person making handcrafted soap and cosmetics has informed me that she was told that cosmetics could not be manufactured in a residence. The cost for a cosmetic permit application is $300 (annually). The fee is for the fiscal year (July 1 – June 30) and may be prorated for the first year. It must be paid when you apply; it is not refunded if you don’t pass the inspection or if you voluntarily withdraw your application. Once the license/permit application has been received, an inspection will be scheduled. They will be looking at your facility and manufacturing processes to ensure that you are capable of making safe, clean products that are not adulterated or misbranded. In Nevada, GMP are part of the regulations that cover cosmetic manufacturers. To get and keep a permit to manufacture cosmetics, you must maintain good manufacturing practices to a level suitable to the products you manufacture. Unlike “guidelines” that are fairly vague, the actual regulations for cosmetics manufacturing in Nevada are pretty specific. As you would expect, they are geared toward large manufacturing operations, with dedicated staff and facility. Most of the GMP regulations are similar to (although somewhat more specific than) the FDA cosmetic GMP inspection guidelines and the ISO 22716 Cosmetic GMP standards. Before submitting an application, you should thoroughly review all these GMP documents and consider reading my book Good Manufacturing Practices so you have a good understanding of what is expected. Make sure your records are good and that your labeling correct. A licensee may petition the Commissioner for an exemption from a particular provision [of the cosmetic regulations]. The petition must contain: a) the section for which the licensee requests the exemption; and b) Facts sufficient to show the Commissioner that, because of the harmless nature of the cosmetic the licensee manufactures, the section should not apply. It is possible, based on this provision (and the fact that the same regulations have been in place since 1982) that the process has already been somewhat modified to take into account handcrafted, safe products made in small batches. 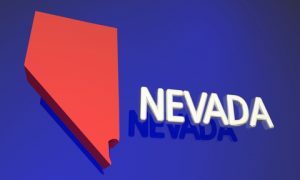 If you have interaction with the process of getting a cosmetic manufacturers permit in Nevada, please share your experiences in the comments below. I have been trying to get information from them for a month. I have called the number that is for Las Vegas. You do not get to speak with anyone that give you another number to call I called 5 times before someone answered then when they did he transfer me then all you get is a answering machine. Which says to leave a number if you want to schedule an appointment with your plans. I have found no one to give me information it just says to look at there web site.. So frustrating !! No wonder so many people are doing it illegally here!! It sounds like they don’t really have the people and procedures in place. That’s too bad.